So, we already discussed The Number One way to save money on your wedding. Today, we’re going to tackle another super easy way to trim a little more money from the bottom line – and you’re guests will never even know. Are you ready? Have a smaller wedding party. Yes, it’s true – a smaller wedding party equals a smaller wedding budget. 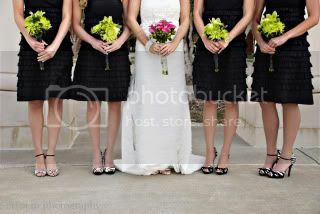 Most wedding party have ballooned into large numbers of people (all of whom have literally one job – stand there.). however, ignore that initial impulse to invite every single prson you have ever known to be in your wedding party. Because that? Will cost you. For every person you include in the wedding party – you will pay X amount of dollars. Even if they pay for their own outfit, you are still on the hook for flowers, rehearsal dinner (or bridesmaid luncheon) meals, transportation, and a gift. Therefore, every single person invited to share your day is an expense to you. So, thinking that having 8 bridesmaids and 8 groomsmen isn’t a big deal? Do the math – if you have 16 people in the wedding party and provide each with flowers, a meal, and a gift – you could be looking at a minimum of $150 per person. That comes out to $2,400 JUST FOR THE WEDDING PARTY. That doesn’t even include the child attendants or anything for your parents. But what if you want to include your sister, and your three closest friends, and two co-workers, and that girl who asked you to be in her wedding five years ago? Don't stress out or have major guilt over not asking all of them to be in your wedding party. Remember, just being invited as a wedding guest is an honor, too! Plus, LOTS of people are thrilled to get out of the stress (and expense) of being in a wedding party. Next, children. When it comes to kids – it’s your call. 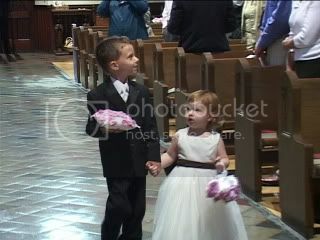 I love ‘em and think that no wedding is complete without a crew of wee attendants. But! You may not want them and that’s cool – cuz that will save you plenty! Just have the maid/matron of honor precede you down the aisle and have the best man hold on to the rings. So, before you go crazy and invite everyone you have ever known to be in your wedding party – think if you want to take that wedding cost upon yourself.